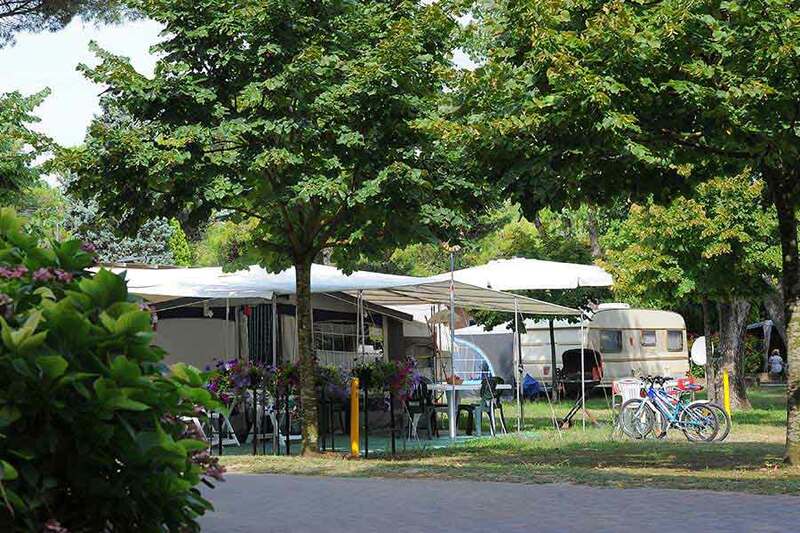 The pitches of type A, are in the centre of the camping. They are edged with hedges and supplied with sockets ( EU POWER POINT ) 220 V 6A. A good distribution of drinking-fountains, secures a good supplying of drinking water. On every pitch it is allowed to put one living-unit and a group of at least 5 people. 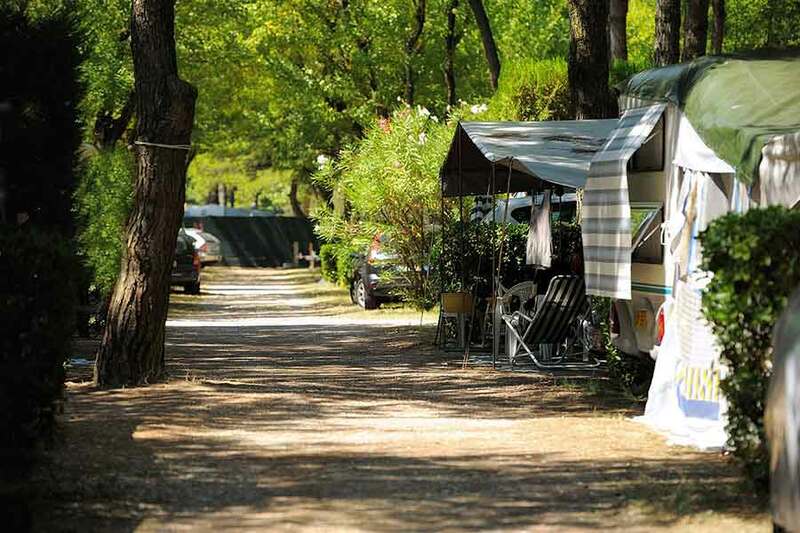 The pitches type B, are located in the entrance area of the campsite. They are surrounded by hedges and shade trees, electricity ( EU POWER POINT ) 220 V 6A. water connection and exhaust pipe. Only one unit per area allowed and a maximum of 5 people. 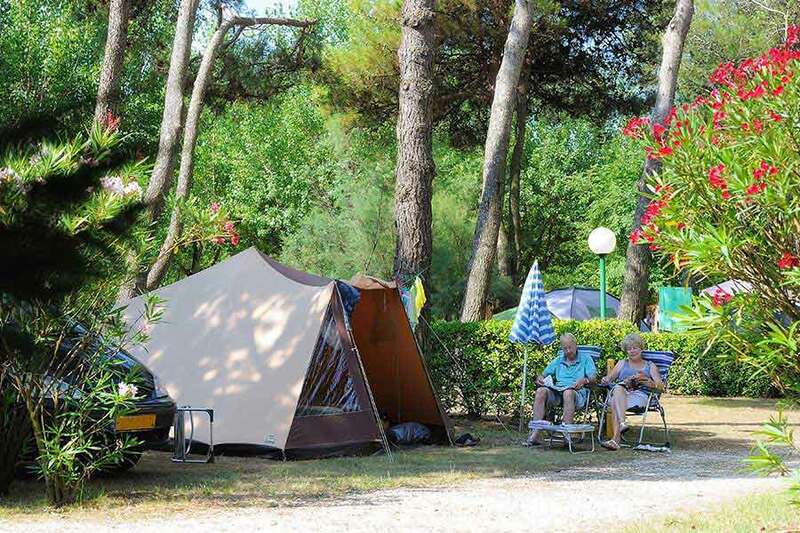 The pitches type C, are located in the area of the campsite nearest to the beach. They are surrounded by hedges and shade trees, electricity ( EU POWER POINT ) 220 V 6A. water connection, exhaust pipe, TV-SAT connection as well. Only one unit per area allowed and a maximum of 5 people. 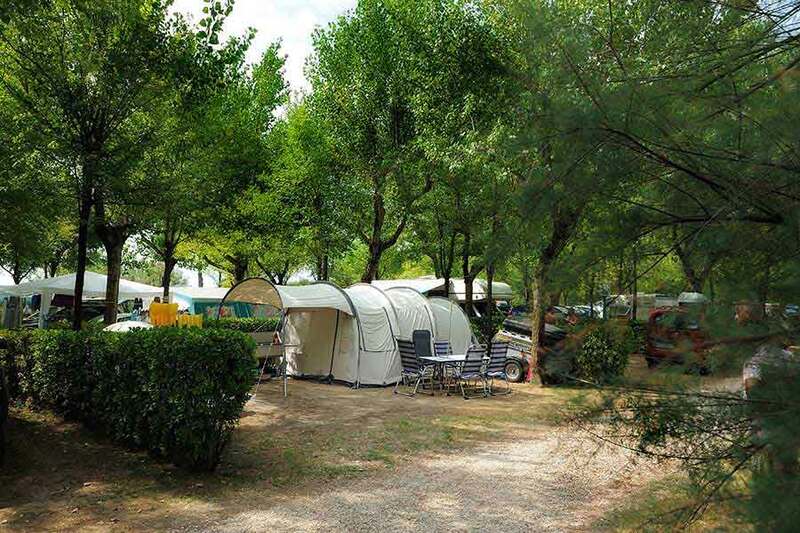 The pitches type SPECIAL (Average dimension 120 m2) are located in the area of the campsite nearest to the beach. They are surrounded by hedges and shade trees, electricity ( EU POWER POINT ) 220 V 10A. water connection, exhaust pipe, TV-SAT connection as well. Only one unit per area allowed and a maximum of 5 people. Booking for pitches: deposit 25% of the budget. 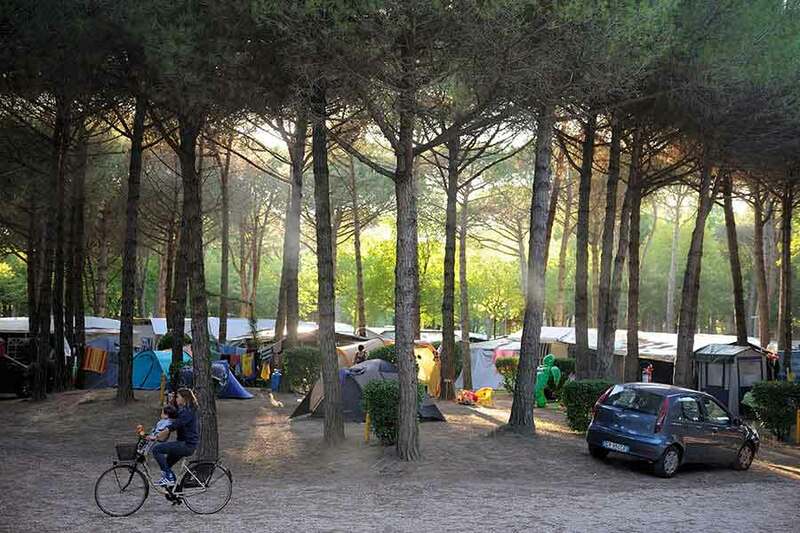 CHECK-IN TIMES FOR CAMPERS: 7.00 am 1.00 pm / 3.00 9.00 pm Please check out no later than 12 noon, or you will be charged for an additional night.